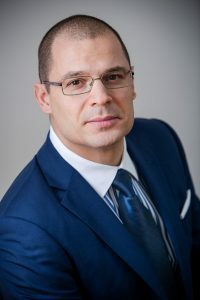 Cristian Gavrilă is a renowned litigator, who has distinguished himself through the impressive track-record of favorable court awards. His practice focuses mainly on domestic and international arbitration, acting as counsel in both ad hoc and under various rules of the main arbitration dispute resolution bodies or institutions, and on competition, public procurement and regulatory related litigation. He has a broad experience in managing extremely complex disputes, from their very initial stages and in organizing and leading teams of different specialists and experts.